Here’s some of our latest commercial work and events. We’re happy to show more examples upon request. Maui Videographer provides very high quality commercial cinematography for activity companies, businesses, and hotels on Maui. Maui Videographer had worked alongside some of the top hotels and businesses on Maui and provides high quality work. We can work with your budget and get you whatever results you desire. We are one of the only companies on island with a drone license and professional drone. We have experience with bigger budgets for a more elaborate production where we rent the nicest Red cameras and hire a crew, and send you a treatment and storyboard. As well as the promotional videos you can use for sales and promoting your business. We enjoy getting to be creative and look forward to hearing from you. Here’s some of our latest wedding films. We’re happy to show more examples upon request. Maui Videographer provides very high quality wedding cinematography at a fraction of the price. Maui Videographer uses 4k Ultra-HD cinema cameras. We also have a drone and love getting aerial shots of each location. Maui Videographer edits all wedding videos in house then sends them to be color graded before delivering the wedding edits to our brides. It’s common for wedding videos to take 14+ weeks to be edited. There’s no better way to remember your wedding and share it with your friends and family back home. 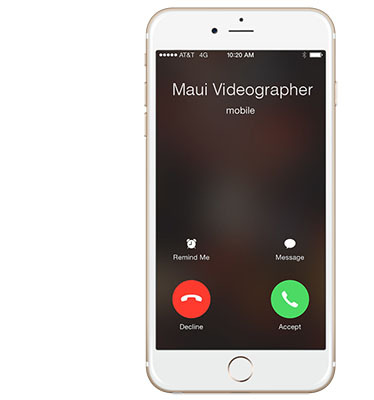 Get a professional video from Maui Videographer and receive the highest quality cinematography at the lowest pricing. You’ll receive digital links to your video so that you can easily download and share your wedding at the highest quality. Your wedding video is filmed in 4k so that you can continue enjoying it decades from now. 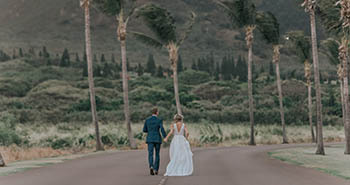 Maui Videographer delivers two wedding edits. The first video edit is your “full ceremony video”. This video will be the length of your wedding ceremony and will allow you to watch your wedding back in real time. 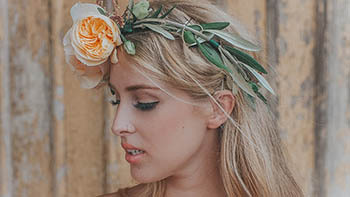 The second wedding video edit is a “social edit” this is a 30-60 second wedding video that’s easy to share online to your friends and family back home. The “social edit” is a short highlight video of your entire wedding and may include shots of you two walking on the beach and opening shots of Maui, Hawaii. We use stablization equipment so that we can capture smooth motion for a seamless video with no cuts. 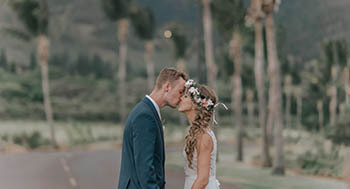 Maui Videographer specifically uses shotgun microphones for beach elopements so that we can capture the officiant and your vows but greatly reduce surrounding noise. Also, with this setup we’re able to greatly reduce any wind noise even during high bursts of wind. Do you want free wedding photography too? Maui Videographer uses 4k Video so we’re actually taking 24 high resolution images every second. At any point in the future you can go back and choose to take images out of your video for prints or to share online. We don’t recommend using this as your sole photography as we don’t always get the same posed shots that a wedding photographer would. However, in an emergency you can feel safe knowing that you’ll have 100+ images built into your wedding video that can be pulled and edited at any time after your wedding. If you have Maui Videographer film your wedding you will get the best wedding video at a fraction of the cost. Our pricing is the best of any videographer in our class. We are the leading videographers for weddings on Maui and have been filming weddings for years. 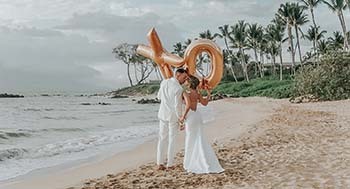 Maui Videographer also provides destination wedding films.